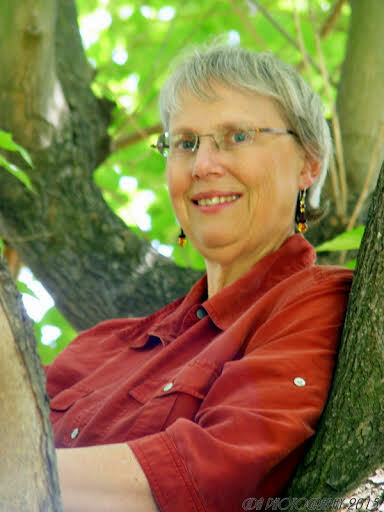 Heather Rose Jones: I’ve been writing in some form or another most of my life, whether stories, songs, or poetry. I’ve always loved working with language. So it’s hard to point to any particular time point or process of “becoming a writer.” It’s a bit easier to talk about how I came to be a published writer. For that, I got a solid push by getting to know various other published science fiction and fantasy authors in the SF Bay Area, whic got me used to the idea that it was a possible thing to move from having written something to getting it published. My first short stories appeared in the Sword and Sorceress anthology series back in the 1990s. I was working on some novels at that time that still sit in file folders, but my first published book series is one I didn’t start working on until after I’d finished my mid-life PhD and decided I needed an entirely new approach to my fiction writing. HRJ: “Gifts Tell Truth” is set in the same world as my Alpennia series: a mildly alternate Ruritanian early 19th century with magic. One of the things I love to do when exploring characters it to make offhand references to events in their past. Events where I may not know all the details of what happened, just that it shaped them in some way. One thing that is very clear about Jeanne, Vicomtesse de Cherdillac, one of the protagonists of The Mystic Marriage and a continuing character throughout the series, is that she is a “Woman With A Past.” The more I write about her, the more fascinated I am by how she came to be the person she is in the novels. The events in “Gifts Tell Truth” haven’t been specifically referenced in the books, other than a passing comment about how the stories of her youth aren’t appropriate for innocent ears. But I knew in a general way that during the French occupation of Alpennia, just after Jeanne’s unexpected marriage to a much older French aristocratic émigré, she led a wild and scandalous life, spurred on by a tragic event in her coming-out season (which will be told in a later story). The current story grew out of wanting to explore the origins of some of her later attitudes and reflexes, with the added bonus of showing the start of an odd but enduring friendship that features in the novels. HRJ: I always have a hard time talking about influences. It’s not that I don’t think I have them, or that I think I’m a “self-made” writer, but I spent so many years simply devouring so many good (and not so good) books that I don’t know that I could identify my conscious influences. It’s a bit like the majority of my historic background research: I’m constantly tossing material into the compost heap, and when I need the fertilizer to grow a story in, there it is, but it’s digested and changed. If we’re talking about stylistic influences, the only ones I can point to with any certainty are the short stories I’ve written in imitation of various genres of medieval literature. But I can identify some writers who inspire me in terms of the shape of their career. Writers who are being a direct inspiration by encouraging me when I feel like the publishing world doesn’t have a place I fit into. That would be people like Kate Elliott and Beth Bernobich and Melissa Scott. I’m going to stop with the first three that came to mind because otherwise I’ll worry too much about who I’m leaving out. The non-author who most inspires my writing is the proprietor of the website People of Color in European Art History. Just as she is doing with people of color, I’m trying to write queer stories back into the history they were always present in. HRJ: It’s almost a cliché, but I’m writing the books that I wanted to read that nobody was writing for me. I’m writing fantasies about smart, geeky women in historical settings, whose lives (and loves) revolve around other women, and who are subverting the patriarchy, not in dramatic ways, but simply by supporting each other in their various endeavors. To discuss how my work differs from others in my genre, first I have to decide which of my genres I’m comparing it to. My novels are published by a lesbian press (Bella Books) which primarily focuses on contemporary romance. This might seem an odd fit, but when I was deciding where to send my first novel, I looked around and couldn’t find any mainstream fantasy publisher that was putting out anything that looked like what I was writing. And I heard all the stories about writers being told to de-queer their characters, or only being offered contracts for the ones with straight storylines. To some extent, it’s still hard to find anything quite like my books today. I’m writing quiet, thinky fantasies-of-manners that just happen to feature a slate of queer women as protagonists. If you took my books and made the characters straight, I could give you comparables. If you made my characters a lot more edgy and transgressive, I could give you comparables. The field has shifted, though, and I think today I might have taken a different path. If you’re comparing my work to the lesbian fiction genre, one big difference is that romance is only one of the many threads woven through the stories, rather than being the major focus. But I think a bigger difference is that my work is more in conversation with mainstream fantasy than with the SFF side of lesbian publishing. It’s a matter of flavor and structure, more than subject matter. HRJ: I always tell people that when I’ve settled down into a single writing process, I’ll let you know. I’ve had a different process for each of my books and expect it will continue to change. The most significant logistical aspect of writing for me is fitting it in around my day job (which I absolutely love and which is a constant source of inspiration to me) and my commute. So my current process is to get up very early in the morning and dictate a scene into a handheld recorder while driving in to work. Then I stop off in a coffee shop for an hour or two, transcribe the dictation, clean up any plot notes from the day before, and do some blogging. If I get snippets of dialogue or text or even simply plot ideas during the work day, I e-mail them to myself to include in the next work session. I tend to work best as a “start to finish” writer. I do a very ugly first draft, full of placeholders and notes and redundancies. I try to avoid doing any revision until I have something that’s functionally complete. For my first novel I was so much of a pantser that I had no idea how the story was going to come out for the first half of the draft. Now I tend to be more in control of the big picture, but I still avoid thinking ahead in too much detail. I tend to lose the crispness if I run the movies in my head too much before writing them down. After that, there are a lot of revisions and generally two rounds with beta readers and subject matter experts before the story goes out the door to anyone else. I enjoy revising, almost more than I enjoy drafting. At that point the clay is all made and I get to work on the pottery. HRJ: At the time I’m writing this I have two active projects. The fourth Alpennia novel, Floodtide, has its ugly first draft and is resting a bit before I start the revisions. I’m trying to take a slightly different genre angle with each book in the series and this one is meant to be something of a young adult story that can be an independent introduction to the series. The second current project is probably going to end up a novella. It’s called “The Language of Roses” and started off as a cynical reaction to yet one more Beauty and the Beast interpretation. I’m trying to see how dark I can get. I don’t have a lot of practice in writing dark. As for what lies ahead, the Alpennia series is planned to be at least seven novels total, plus an assortment of short fiction to fill in some gaps. I have plenty of other ideas for novels, but a lot depends on where I want to take my career when I’m done with Alpennia. I’ve been trying to write more short fiction, too. 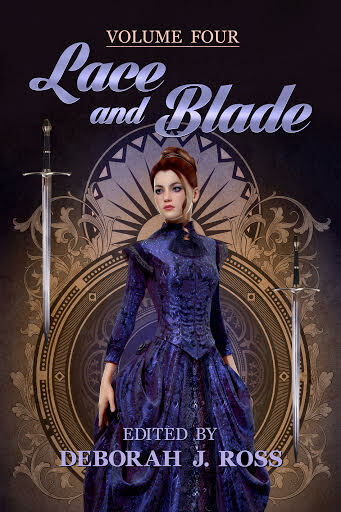 I have a quartet of stories inspired by the medieval Welsh Mabinogi (with lesbians), of which two have been written and published by Podcastle. I have my stories from Sword and Sorceress that I plan to self-publish as a collection with a concluding novelette, which is waiting for me to have the time to work on the logistical parts. And through it all, I’m constantly working on the Lesbian Historic Motif Project and its associated podcast, which is intended as a research resource for people writing queer women in historic settings. HRJ: There’s all the usual advice, like “seek out good writing and study it” or “a writer writes, so start writing and you aren’t ‘aspiring’ any more.” But in the current state of the field, I think an important piece of advice for new writers is to have patience. Not meaning to sound like an old fogey (though of course I do), but your first book isn’t necessarily going to be worth publishing. In fact it probably won’t be. That’s ok. That’s not failure, it’s part of practicing to be better. A lot of aspiring writers think that their first book needs to go out into the market no matter what. If you can’t get an agent or a publisher interested, then publish it yourself. Self-publishing has become incredibly easy, and that can be a good thing. But just because something is easy doesn’t mean it’s a good idea. How do you push yourself to improve if you think that your first efforts are good enough? If you picked up a violin and played it for the first time, would the result be good enough to be recorded? When you pick up a paintbrush for the first time, do you expect the result to be hung in a gallery? Writing is a craft; it takes effort and practice and analysis. Have the patience and persistence to learn your craft well. 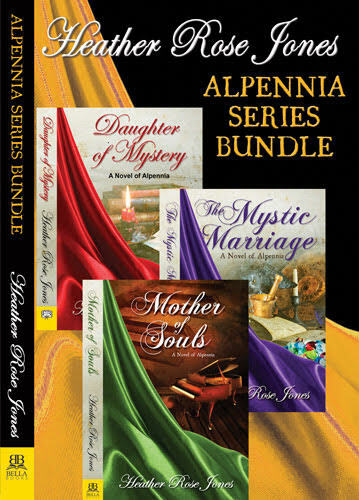 Heather Rose Jones is the author of the Alpennia historic fantasy series: an alternate-Regency-era Ruritanian adventure revolving around women’s lives woven through with magic, alchemy, and intrigue. The series so far consists of Daughter of Mystery, The Mystic Marriage, and Mother of Souls as well as some shorter pieces. Heather blogs about research into lesbian-like motifs in history and literature at the Lesbian Historic Motif Project and writes both historical and fantasy fiction based on that research. Her short fiction has appeared in Sword and Sorceress and at Podcastle.org. She works as an industrial failure investigator in biotech. What a fascinating and insightful interview (as chatting with Heather always is). Thanks! Glad you enjoyed the interview. I love Heather's work and hope to edit more of her stories in future anthologies.